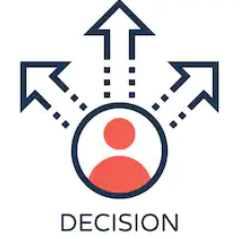 Dr. Bob Moore in his DMCommunity.org post “What is a ‘Decision’?” considers different definitions of a “Business Decision” and “Business Decision Logic”, which Bob, Ron Ross, and I have recently been discussing in the context of the March DMC Challenge. Below I will share my point of view. In February-2019 I published a new book “Goal-Oriented Decision Modeling with OpenRules” available from Amazon. It explains the goal-oriented approach to business decision modeling introduced by OpenRules in 2018. The book is a practical guide that explains how to create and maintain operational business decision models in a step-by-step easy to understand style. The guide consists of a series of dialog-sessions in which an AUTHOR explains major decision modeling concepts and methods to an inquisitive READER who asks questions and implements the concepts. You will quickly learn how to represent complex decision logic and end up with a deep understanding of practical decision modeling techniques. The book contains only 150 pages, and you may start developing your own decision models after reading first 1-2 chapters.